Meghan obtained a BSc degree in physical geography from Aberystwyth University in 2009 and went on to complete a PhD at the Flood Hazard Research Centre (FHRC) at Middlesex University, where she embraced human geography and the social sciences to examine constructions of flood vulnerability. 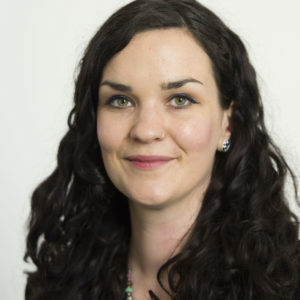 Meghan has subsequently held postdoctoral positions at FHRC and the University of Leeds, and is currently working as a Research Associate at Cardiff University. Meghan’s research is situated in the field of environmental hazards and addresses a range of themes related to risk governance, resilience, adaptation and the science-policy-practitioner interface. 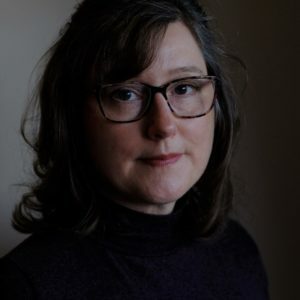 Her current research examines the governance challenges and opportunities for aligning and negotiating conflicting policy agendas in coastal fringe systems, exploring the implications of this for societal resilience and wellbeing trajectories. Meghan is eager to continue working across disciplinary divides to better understand cross-scale constructions of resilience within coupled social-environmental systems and pathways to adaptive futures. Since taking part in the GW4 Crucible Programme, Meghan was awarded some seed money to continue working with her fellow Cruciblees (Helen Smith, Adrian Healy, Giorgia Giardina, Zhihua Xie, Ludivine Petetin and Ria Poole) to conceptually develop “The Resilience Games”. The Games will aim to engage future generations with the complex challenge of creating resilient societies in an ever-changing world, where mounting pressures such as climate change and natural resource depletion require society to adapt, innovate and transform attitudes and practices. The project will bring together experts in the field to examine how best to represent ‘resilience’ through educational games, taking into account issues of age and gender differences. The results and initial concept development of The Resilience Games will be published in a final report in April 2019. Follow their updates on Twitter at DrMeg_Alexander and #TheResilienceGames. Bryan Bzdek earned a BS degree at Bucknell University (USA) and completed his PhD at the University of Delaware (USA). 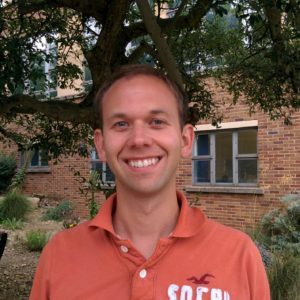 He then completed postdoctoral studies at the University of Bristol and is a NERC Independent Research Fellow at Bristol. His research spans the fields of analytical and physical chemistry, as well as environmental and aerosol science. His current research interests include sunlight-driven reactions in atmospheric aerosols, aerosol surface and bulk properties, and aerosol chemical analysis by mass spectrometry. Bryan has extensive experience with both laboratory and field studies of aerosol and often works closely with modellers. Bryan is recipient of the prestigious Sheldon K. Friedlander award from the American Association for Aerosol Research in recognition of his research accomplishments in the field of aerosol science. 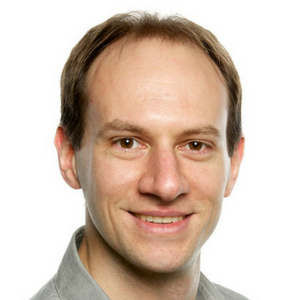 Bryan is currently leading the GW4 seed-funded project: Development of a predictive framework for Indoor Air Quality. Bryan was awarded EPSRC funding through the scheme “Support Early Career Researchers at the University of Bristol” to buy a particle sizer to perform indoor air quality measurements. Marie obtained a Fil Mag in geosciences from Stockholm University in 1995 and a PhD from the Department of Physical Geography and Ecosystem Analysis of Lund University in 2002. 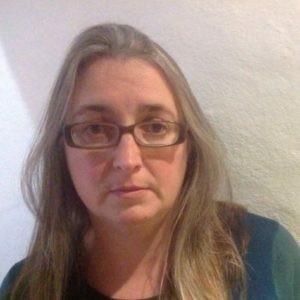 She has since worked in academic and government research positions in the UK and Australia until 2017, when she took up a Research Fellowship in Climate Change Impacts hosted at the School of Earth and Ocean Sciences of Cardiff University and supported by the University’s Water Research Institute. Marie is interested in understanding the science and communication of climate change, its potential impacts on hazardous weather events and follow-on consequences for the environment and local communities. Darrick received his AB (2006) in public policy from Princeton University, USA, and then worked as an environmental educator and wilderness guide for secondary students before completing his MS (2011) and PhD (2014) in natural resources at Cornell University, USA. He taught at Oberlin College, USA, as an assistant professor for one year before moving to Wales in 2015. He is currently a Marie Curie Actions research fellow, investigating (1) what Welsh residents know and feel about unconventional gas development (UGD) (often called ‘fracking’), (2) how they believe UGD would affect them if it were to occur, and (3) how these views are contextualised alongside perspectives on future energy production and consumption broadly. Darrick is particularly focused on working with the Welsh and UK Governments in research design and sharing results to ensure that the data can effectively inform the policy process on this contentious societal issue. Darrick was appointed Lecturer for Environmental Politics at the University of Edinburgh. Darrick is Co-I on a NERC-funded grant on unconventional hydrocarbon development in the UK (led by University of Exeter). Darrick also produced a policy brief, which he shared with members of the Welsh Government with whom he has been collaborating. This brief distilled research he conducted on public preferences for energy use and energy production in Wales in the future, and Welsh public views on unconventional gas development. Furthermore, Darrick was invited to contribute to a workshop that is compiling expert knowledge to update the Royal Society’s 2012 report on shale gas development in the UK. Darrick currently is involved in the GW4 Crucible Seed-funded project: Developing a multidisciplinary approach to address the problem of environmental antibiotic pollution surrounding aquaculture farms in Bangladesh. 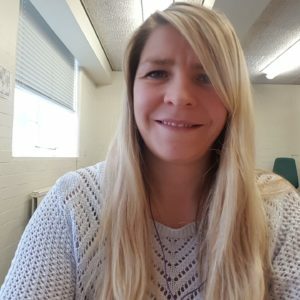 After Michelle got her BSc Management Sciences degree, she worked in voluntary sector organisations for 10 years, working in mental health services, with young people at risk of exclusion, and on environmental and community projects. She returned to academia via a Knowledge Transfer Partnership in the NHS (attaining a MPhil) at the University of Bath. Her PhD focussed on co-production and co-design projects in public services, also at Bath University. 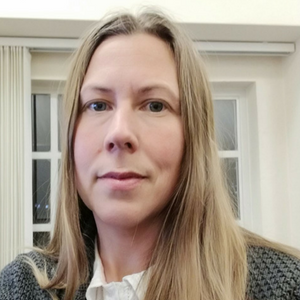 With five years post-doctoral research experience, she now works as part of the NIHR Collaboration for Leadership in Applied Health Research and Care West at the University of Bristol. Recent collaborative research in health services includes digital innovations in health, and peer support within pain services. Michelle is keen to work with academics, policy-makers and practitioners to develop health and social policies that tackle inequalities and bring equitable social changes based on resilience, sustainability and the environment. 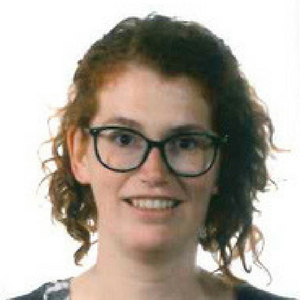 Michelle published a paper on advice services for people with disabilities in May 2018, and from this paper she submitted evidence to the United Nations Special Rapporteur visit on extreme poverty https://www.ohchr.org/EN/Issues/Poverty/Pages/UKVisitSubmissions.aspx, and got an article published in The Conversation. https://theconversation.com/advice-is-a-lifeline-for-people-claiming-benefits-but-support-services-are-under-threat-from-cutbacks-98893. Michelle is currently involved in the GW4 Crucible Seed-funded project: Community Resilience, Place and Wellbeing in Bristol: A Scoping Study. Giorgia received the B.S. and M.S. degree in civil engineering from the University of Brescia and the Ph.D. degree in structural mechanics from the Delft University of Technology. After being a Research Associate at the University of Cambridge, a Junior Research Fellow at the Wolfson College and the recipient of a Leverhulme Trust Fellowship, she is now a Lecture with the Architecture and Civil Engineering Department, University of Bath. Her research interests include risk and damage assessment of structures, seismic vulnerability and retrofitting, soil-structure interaction, small scale experimental modelling, centrifuge testing and computational analysis. Giorgia is currently involved with the GW4 Crucible Seed-funded project: The Resilience Games. Marcus Gomes obtained his BA degree and his PhD in Public Management and Government at FGV-EAESP (Brazil). After teaching and researching in Brazil for more than five years, he moved to the UK to his current position as lecturer in organisation studies and sustainability at the University of Exeter Business School. Marcus is interested in critical perspectives on Business and Society, as his research focuses on how organisations influence their context through discourses and meanings. Under this perspective, he examines the governance of sustainability, how civil society, corporations and the nation-state negotiate policies towards the natural environment and society. He is particularly interested on issues related to environmental degradation (e.g. Amazon deforestation and climate change) and human rights violations (e.g. modern forms of slavery). His current research focuses the strategies and tactics that transnational NGOs employ to shape markets. Marcus is currently involved in the GW4 Crucible Seed-funded projects: Community Resilience, Place and Wellbeing in Bristol: A Scoping Study, and Developing a multidisciplinary approach to address the problem of environmental antibiotic pollution surrounding aquaculture farms in Bangladesh. Julie obtained her BA in Architecture from Clare College, Cambridge and went on to study at Cardiff University for her BArch, MSc and PhD at the Welsh School of Architecture. She then joined the academic staff at the school first as a Research Associate in 2003, then lecturer and now Senior Lecturer. Early work focused on the impact of Climate Change on the Built Environment, while latterly she developed and delivered professional development strategies and courses promoting sustainability in the built environment. Since return from an extended period of maternity leave, she has been working to establish a new field of research to understand the interdisciplinary social production of both sustainable and unsustainable built environments; further, in the role that critical engagement with architectural precedent can play in promoting positive transition in these complex systems. I am also collaborating in the establishment of a research network on Resilient Urban Design. I have a PhD in Politics and Environmental Studies (University of Toronto). 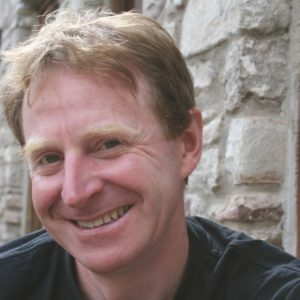 After my PhD, I took up a professional position at Genome British Columbia, a Canadian funding agency where I established an interdisciplinary social science research programme in genomics to engage policy-makers, industry and other stakeholders and explore the role of genomics in addressing societal challenges. I am an interdisciplinary social scientist working closely with natural scientists and engineers. I research the responsible development of science, technology and innovation. My current work examines the development of GM insects, gene drive and genome editing in areas of global health, sustainable agriculture and food security in Europe, North America, Africa and South America. Sophia is a Leverhulme Early Career Fellow at the Department of Politics, Languages and International Studies, University of Bath. Her project maps the development of environmental rhetoric in the last 20 years. She is particularly interested in the interplay between the production of scientific knowledge and the use of scientific evidence in political discourse. Sophia is keen to connect with other researchers to form collaborations that will explore avenues for putting into work ideas such as ‘resilience’ and ‘adaptation’ to forge collective visions for transformation towards more sustainable, inclusive, and equitable societies. Adrian’s interests focus on the resilience of people and places to shocks and crises, regional economic development and innovation. Prior to joining Cardiff University Adrian was a Director of the European consultancy company ECORYS, where he managed their Brussels Office and led European policy studies. 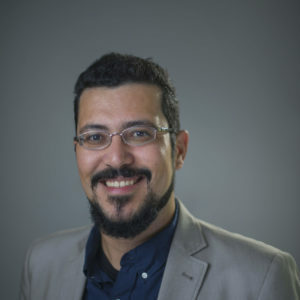 Adrian is currently involved in research examining the role of agency and choice in resilience outcomes and has completed major projects in this area funded by the EU (ESPON) and NERC. Developing on this work, he is currently working with the Water Research Institute at Cardiff University exploring themes of water resilience in Africa. He has acted as an expert advisor to the UK Government, OECD and the European Commission and is keen to ensure the policy-relevance of research findings. Adrian currently works at the School of Geography and Planning at Cardiff University. He is also currently involved with the GW4 Crucible Seed-funded project: The Resilience Games. Manuel obtained his MSc degree in Statistics at the University of Valladolid (Spain) and completed a PhD in Hydraulic Engineering and Environmental Studies at the Technical University of Valencia (Spain). After did postdoctoral work at Université Libre de Bruxelles (Belgium) and Imperial College London (UK), he joined the University of Bath as a Research Associate in the Dept. of Architecture and Civil Engineering. His most current research is on assessing how buildings respond to extreme weather events such as heat waves or cold spells. The main objective of his work is to benefit health and wellbeing of buildings occupants. Manuel is keen to get engaged in multidisciplinary projects to design energy efficient and better sustainable housing. Manuel is currently involved with the GW4 seed-funded project: Development of a predictive framework for Indoor Air Quality. Dr Yi Jin took both BSc and MSc degrees in Organic Chemistry at Xiamen University, China, and came to the UK for her PhD at University of Sheffield with the prestigious Overseas Research Studentship. During this period, she expanded the usage of metal fluoride complexes as mimics of phosphoryl group in various key enzymes in cellular signal transduction in NMR and crystallography. In 2014, she moved to University of York as a postdoc, working on various carbohydrate processing enzymes, including the first glycosyl hydrolases in sulfo-glycolytic pathways, and using activity based-probes to trap glucuronidases in action. In May 2017, she began her independent career as a University Research Fellow at Cardiff University. Her research interests involve mechanistic studies of the enzymes involved in bacterial persistence and protein-protein interactions involved in sepsis, and she is extremely keen to communicate with the public about the awareness of sepsis and bacterial persistence. Yi is currently involved with the GW4 seed-funded project: Development of a predictive framework for Indoor Air Quality. Jules completed a Science/Computer Science double-degree at Monash University, Australia. He obtained his PhD in 2010 at the same institution, which tackled problems in Astrophysics and Fluid Dynamics. His first postdoctoral appointment focussed on computational studies of swimming fish. 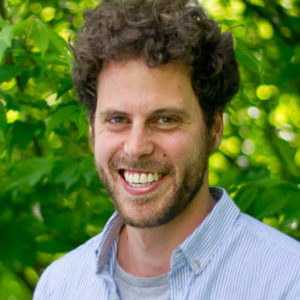 In 2012, he entered the field of Climate Science at the University of New South Wales, Australia, where he studied “El Niño” and other modes of climate variability. 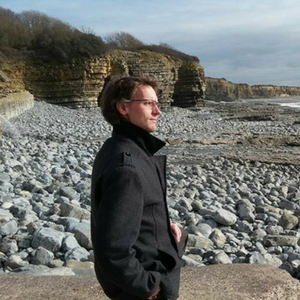 Jules has been at the University of Exeter since early 2017, studying variations in the rate of global warming. Climate change is one of the greatest challenges facing humanity, and Jules is looking forward to exploring cross-disciplinary approaches and solutions. Emma has an interdisciplinary background, with an initial grounding in natural sciences having completed a BSc in Marine Biology (University of Stirling), MSc in Marine Environmental Protection (University of Wales, Bangor) followed by a PhD examining the role of marine citizenship in contemporary UK marine and coastal management and policy development (University of Bournemouth). Emma is an experienced mixed methods researcher, and has worked on a range of topics; marine spatial planning, ecosystem services, public perceptions and attitudes towards marine issues, coastal community resilience and sustainability and the Blue Growth agenda, focusing on supporting a sustainable ‘blue’ economy. Her most recent research examines the role of saltmarshes in coastal community resilience, understanding the benefits society derives from these coastal fringe systems and examining how this influences governance and management landscape. Emma currently is involved in the GW4 Crucible Seed-funded project: Developing a multidisciplinary approach to address the problem of environmental antibiotic pollution surrounding aquaculture farms in Bangladesh. Paola obtained her M Earth Sciences degree at Oxford University and went onto work for an environmental consultancy for a year. She completed her PhD in Cardiff University and moved to Rutgers University in the US to work in the Department of Marine and Coastal Sciences for two years as a postdoctoral researcher. 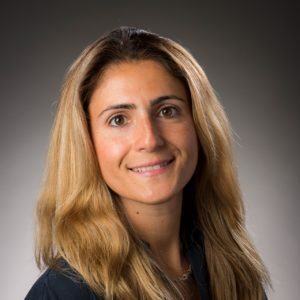 Paola’s research focuses on understanding the oceans role on climate variability beyond the observational records. 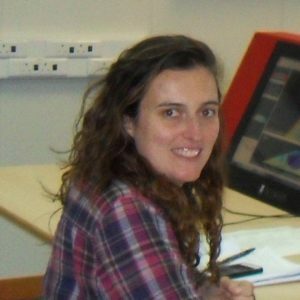 She has now returned to Cardiff University as a MSCA-COFUND fellowship and her research aims to understand the relationship between changes in the ocean and how these have affected the climate in the past 1000 years in different key climatological regions. Paola has worked with modern oceanographers, climate modellers to improve our understanding of the natural variability of the climate on century timescales. She is keen in communicating the physical sciences of our climate to the general public and would also be keen to inform government and policy makers. 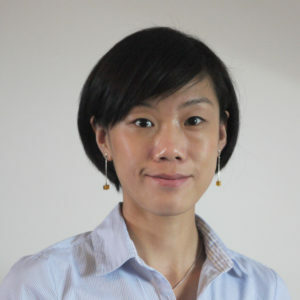 Esther obtained her BSc Econ degree in Sociology at Cardiff University and continued in the School of Social Sciences to complete an ESRC funded MSc in Social Research Methods and PhD focussing on the educational experiences and civic values of university students in Britain and Singapore. In her current role at WISERD, Esther is exploring the exploring the role of family in peoples’ accounts of civic and environmental engagement. This research indicates that while some values are resilient over time, others are prompted by societal changes. Esther is becoming increasingly interested in eating habits and how people make choices about food in relation to family, environment and sustainability. Esther is currently leading the GW4 Crucible Seed-funded project: Community Resilience, Place and Wellbeing in Bristol: A Scoping Study. 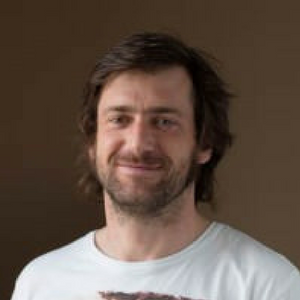 Jonathan obtained his MEng degree in Mechanical Engineering at the University of Bath, after a short-time in industry he returned to the University to undertake a PhD. He is now working as a Research Associate within the Department of Mechanical Engineering. His work involves systems level analysis of opportunities for supplying energy more sustainably and for reducing energy demand. Previous research assessed opportunities for reducing energy and material demand in the industrial sector and Jonathan’s current project analyses the possibilities for utilising contaminated land to produce bioenergy. His research involves interdisciplinary working with biologists, economists, psychologists and designers. Jonathan is particularly interested in how technological changes and human behaviour combine when assessing energy futures. 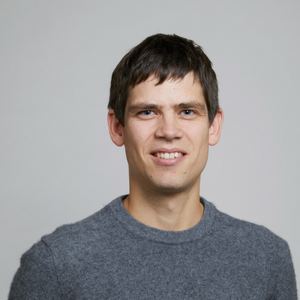 Jonathan is currently involved with the GW4 seed-funded project: Development of a predictive framework for Indoor Air Quality. Hans obtained his PhD in microbiology in Germany, and went on to work as postdoctoral researcher at the John Innes Centre in Norwich. He is now a Royal Society University Research Fellow at the Milner Centre for Evolution, University of Bath. His research is examining plants and microbes at the interphase between genetics, antibiotics and synthetic biology involving interdisciplinary work with chemists and informaticians. He sheds light on the epigenetic control of natural products, creates strategies for sustainable production of antibiotics and aims to unveil resilient synthetic genetic circuits. Hans is currently involved in the GW4 Crucible Seed-funded project: Developing a multidisciplinary approach to address the problem of environmental antibiotic pollution surrounding aquaculture farms in Bangladesh. 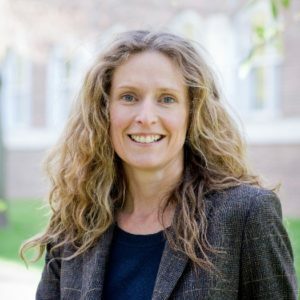 Rebecca completed a BSc in Environmental Science at Plymouth University and an MSt in Community Enterprise at Cambridge University, whilst following a challenging career in the third sector where she became well known for developing and managing environmental regeneration projects. 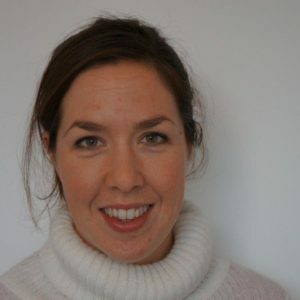 Being increasingly concerned for the state of the World’s water commons in a changing climate, Rebecca completed her PhD in Geography at Exeter in 2013 and has since been retained as a Research Fellow attached to the national Drought and Water Scarcity Programme. Through this programme Rebecca has brought together a substantial collection of local and regional historic drought information dating back to the 1950s, incorporating water management reports, news articles, photographs, and newly recorded oral testimonies. Her collection is currently being used to increase confidence in hydrological models that use partially reconstructed data due to breaks in instrumental records. Since taking part in Crucible, Rebecca has been investigating the use of social media to engage more effectively with the public. Rebecca thinks that Crucible taught her to be bold, and has helped her by generating more contacts and publishing opportunities. Recently, Rebecca got involved in a new area of research, interviewing people in a community whose homes regularly flood. She was able set up a new communication channel between the Environment Agency and home owners, which will help to relieve some of the anxiety felt by those whose houses are at the risk of flooding. Rebecca was able to use her specialist skills in an area where there was an urgent need for social data. 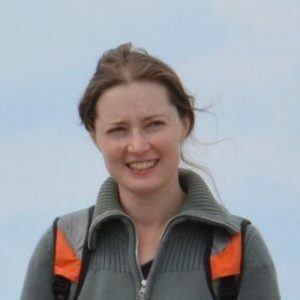 Rebecca thinks that Crucible helped her to put herself forward, and as a result she now has another complementary data set that will inform reports and publications about extreme weather events at both ends of the climate continuum. Rebecca is currently involved with the GW4 Crucible Seed-funded project: Community Resilience, Place and Wellbeing in Bristol: A Scoping Study. 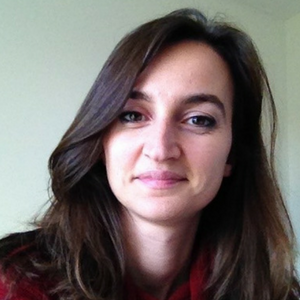 Ludivine holds postgraduate degrees from Paris II Panthéon-Assas in France, the University of Glasgow and the University of Leeds. She is currently a Lecturer at the School of Law of Cardiff University. Her research focuses on the policy and regulation of agriculture, food and environmental protection. In particular, she is interested in food and energy security, agri-technology, sustainable agriculture and rural development. Her research also investigates public participation, devolution and governance issues, as well as Brexit matters. As an outcome of her research she would ultimately like to make a difference in people’s lives and how they approach the consumption of food and energy. She thinks it is critical to make people change their minds so that they see the benefits of green farming, renewable energy, the use of new technologies and environmental protection. Ludivine feels that the type of research she undertakes ought to be truly interdisciplinary and it is these interdisciplinary aspects and the resulting social interactions as well as research projects that she is keen to develop. Ludivine is currently involved with the GW4 Crucible Seed-funded projects: The Resilience Games, and Developing a multidisciplinary approach to address the problem of environmental antibiotic pollution surrounding aquaculture farms in Bangladesh. Ria is a Health Psychologist and Postdoctoral Research Fellow currently investigating young adults’ pathways into smoking for Cancer Research UK. Following on from her research with the Waste and Resources Action Programme (WRAP) her work also examines the potential of education interventions in schools to reduce food waste and promote sustainable healthy eating. As an expressive landscape painter and appointed member of St Ives Society of Artists, Ria frequently spends time painting in West Cornwall, exhibiting in galleries across the South West, and has recently been shortlisted as one of Artists & Illustrators Magazine’s ‘Artists of The Year 2018’ (www.riapoole.com). She is keen to meet other researchers who are also considering innovative strategies and interventions that aim to deliver positive socio-environmental outcomes. Ria is currently involved with the GW4 Crucible Seed-funded project: Community Resilience, Place and Wellbeing in Bristol: A Scoping Study. Anna Rabinovich is a Senior Lecturer in Psychology in the University of Exeter. She holds a BSc/MSc degree from the Belarusian State University, and a PhD from the University of Exeter. After completing her PhD, Anna was awarded a Great Western Research postdoctoral fellowship to investigate social psychological pathways towards promoting sustainable behaviour. In 2010 she was offered a lectureship in the University of Exeter. Anna’s current research interests include behaviour change, group processes, communication, environmental sustainability, and social cohesion. Her specific focus is behaviour change that leads to adoption of environmentally sustainable practices. She is also conducting work on building resilience through enhancing community cohesion in challenging environments. 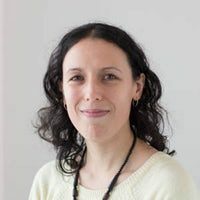 Anna has published extensively in leading social psychology peer-review journals, and has a record of securing funding from ESRC, GCRF, NERC, and BA. She is involved in a number of interdisciplinary projects, and has a strong interest in impactful research. Anna is currently involved with the GW4 Crucible Seed-funded projects: Community Resilience, Place and Wellbeing in Bristol: A Scoping Study, and Developing a multidisciplinary approach to address the problem of environmental antibiotic pollution surrounding aquaculture farms in Bangladesh. 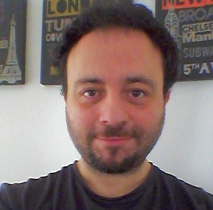 Dan obtained his undergraduate degree in computer science at the Technische Unversität Berlin, Germany and went on to complete a PhD in the UK after three years of software consultancy in industry and higher education. He is now working as a lecturer in the computer science department at the University of Bristol. His most current research is investigating the scope and reduction potential of energy consumption by internet services with organisations such as The Guardian and the BBC. Dan is passionate about the role of sustainability in all our lives and increase our understanding about its relationship to information technologies. Dan is currently involved with the GW4 seed-funded project: Development of a predictive framework for Indoor Air Quality. 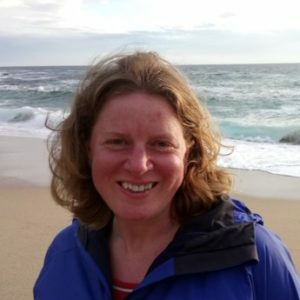 Helen obtained a BA in Physics from the University of Oxford and an MSc in Hydrography from Plymouth University before completing a PhD at the University of Exeter, which assessed the potential impacts of large offshore wave farms on the nearshore wave climate. She completed a number of post-doctoral roles in the Offshore Renewable Energy group at Exeter and was appointed as a lecturer within the group in 2013. 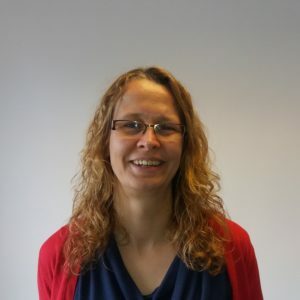 Helen’s primary research focus is on the development of numerical tools to support ‘blue growth’ in areas such as marine energy and aquaculture, through enhanced understanding of the wave and tidal environment and the potential impacts on the physical environment. Helen is particularly keen to address issues relating to the future resilience of such industries and engage with wider inter-disciplinary research in these areas. Helen is currently involved in the GW4 Crucible Seed-funded project: Developing a multidisciplinary approach to address the problem of environmental antibiotic pollution surrounding aquaculture farms in Bangladesh. Kelly obtained her DPhil from Oxford University and completed a post-doctoral position at Toulouse University, France, both of which focused on achieving a better understanding of the molecular signalling pathways in human blood cells. She then worked at the Wellcome Trust Sanger Institute before taking a career break to bring up a family. 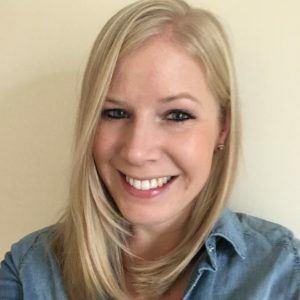 Whilst at home looking after children, Kelly set up a science communications business and successfully ran this until June 2017 when she began a Daphne Jackson Fellowship at Exeter University. In this current position, Kelly is using bioinformatics techniques to study the emergence and dissemination of antimicrobial resistance genes in aquaculture ponds, with the aim of finding ways to mitigate the spread of antimicrobial resistance in this rapidly expanding industry. Kelly is also very active in science outreach work, and particularly enjoys infecting primary school children with her love of science. Kelly is currently leading the GW4 Crucible Seed-funded project: Developing a multidisciplinary approach to address the problem of environmental antibiotic pollution surrounding aquaculture farms in Bangladesh. Stefanie obtained her BA degree in English Literature and Languages at Ghent University in Belgium and, after a few years in advertising, went on to complete an MA in Literature and Film in Newcastle and a PhD in Film Studies in Stirling, in Scotland. 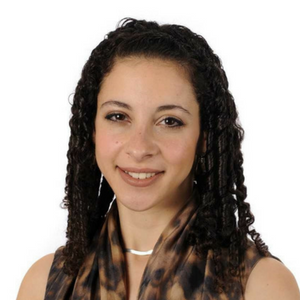 She is now working as a postdoctoral researcher in film for two projects: one on Moroccan cinema in Exeter and another project on African cinema at the University of Glasgow. Her research examines transnational approaches to cinema and culture from the African continent and the Arab world, with a particular interest in the sixties and seventies, feminist solidarity, political cinema and film festivals. Her work has always had an interdisciplinary basis in literary and film histories, as well as politics and sociology. She is especially interested in translating activist and passionate practice onto the academic page. 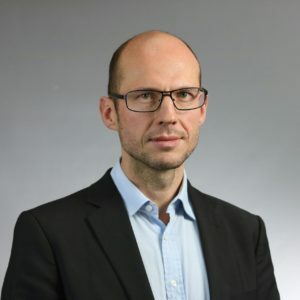 After studying African Studies, Oriental Studies and Social Anthropology at Leipzig University until 2004, Martin moved to Cardiff in 2005 to obtain a Master in Social Science Research Methods and to complete a PhD in Science and Technology Studies. Since 2011 Martin works as a Research Associate at the Cardiff School of Social Sciences, first on the 5 year ERC funded ‘Imitation Game’ project that aimed at developing a new method to measure interactional expertise and since 2016 on various projects in the field of Organisational Studies funded by the European Union. Martin would like to explore the ways in which big organisations like Universities approach the reduction of their carbon footprints. Martin is currently involved with the GW4 seed-funded project: Development of a predictive framework for Indoor Air Quality. 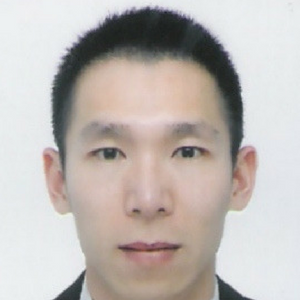 Zhihua obtained PhD in computational fluid dynamics (CFD) in 2010 from the University of Leeds, funded by the Marie Curie EST fellowship. He then worked as a research associate at Cardiff University from 2010 to 2012 and at Imperial College London between 2013 and 2016. He has been a lecturer in the School of Engineering at Cardiff University since January 2017. His research interests span a broad range of topics in CFD, turbulence modelling, multiphase flows, water wave mechanics, hydrodynamics, hydraulics, environmental fluid mechanics, coastal and offshore engineering, marine renewable energy, chemical engineering, and high performance computing. He is a member of EPSRC Associate Peer Review College and an active reviewer for several leading international journals. Zhihua is currently involved with the GW4 Crucible Seed-funded project: The Resilience Games.